Posted on May 12, 2017 at 10:53 am. 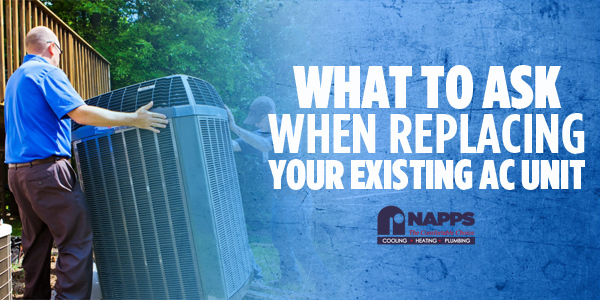 If your air conditioning unit is already old and needs frequent repairs, it might be the right time to replace it with a new one. Unfortunately, many homeowners get intimidated when looking for the right replacement units due to plethora of options in the market. Here’s a list of questions you can ask your local HVAC service provider when replacing your AC. Which is a better choice? Repair or Replace? 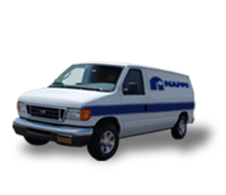 A dependable HVAC contractor will come to your home to inspect your HVAC system. After the inspection, your local contractor should determine the problem and recommend the best possible solution. Sometimes, a faulty AC needs a simple fix to operate properly again, but there are times that replacing the whole system is the best way to go. If you’re replacing your air conditioning unit with a new system, ask your contractor if it’s worth keeping your current thermostat or you already need a replacement. Although you may choose to keep your existing thermostat, you may consider investing in a more efficient type such as a programmable thermostat. How to size a new AC? Air conditioning and heating systems are properly sized by calculating the actual cooling and heating loads needed by your home. The contractors completely measure the house and get the window types, infiltration rate, orientation, duct leakage, insulation R-values, and more. They will use a load calculation tool to know how many Btu’s per hour your home actually needs. Your new AC estimate should include the actual cost of the unit itself and the installation cost, including labor as well as necessary parts. It’s best to get everything in writing and compare it to estimates by other companies. After assessing your building and your existing air conditioning system, a good contractor should be able to let you know about the right size and capacity unit that meets your exact needs. Also, the contractor should recommend units with SEER rating, which is a label for energy efficiency. What’s included in your warranty? When buying a new AC, be sure to ask about the warranty coverage, both manufacturer warranty and guarantees from the local contractor. Ask whether or not maintenance is included in the installation package. Regular maintenance included in the warranty is crucial to protect your investment. Is my current ductwork compatible? Aside from inspecting your existing AC and the surrounding area, your contractor will also check the ductwork to ensure that there are no kinks, size issues, and leaks that can interrupt airflow. If you need professional service for your ductwork such as repair or replacement, it should be detailed in the estimate. Replacing your existing air conditioner with a new one is a huge investment. It’s crucial to enhance not only the durability and efficiency of your home comfort systems, but also to have a comfortable and healthy living space for you and your loved ones. Find a trusted local contractor who can help you choose the right replacement unit for your old AC.